The Marigold Industrial Vulcain 950 Elastofix L18 Gloves are highly tear-resistant gauntlets that provide protection against abrasion, cut and contact heat up to 100°C. 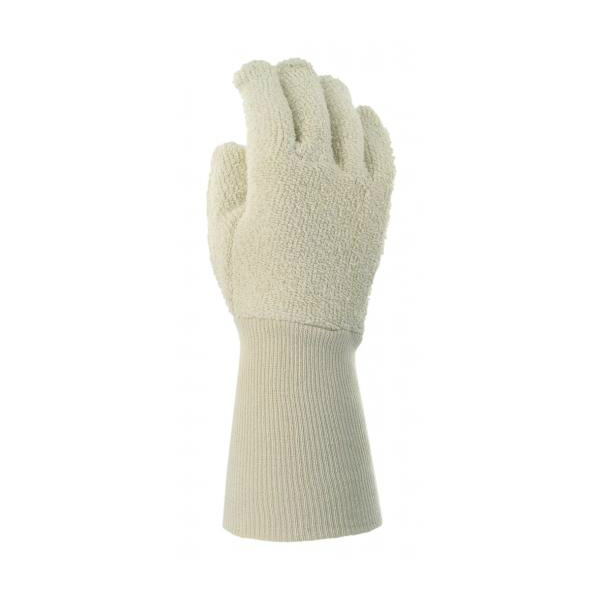 These gloves are ideal for use in the glass, metal fabrication and transport industries. The table below shows the test results of the Vulcain 950 L18 according to EN 388 Mechanical Risk specifications. The table below shoes the test results of the Vulcain 9L18 Gloves according to EN 407:2004. These gloves are available in size 10 only, suitable for individuals with a hand circumference of 254mm and a hand length of 204mm. The gloves themselves have a length of 380mm.